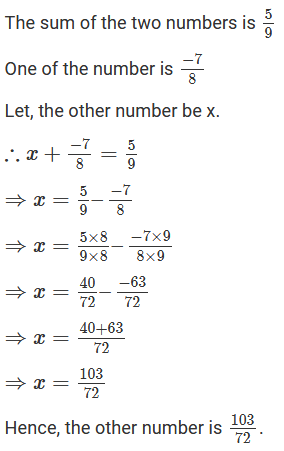 The sum of the two numbers is 5/9. If one of the numbers is 1/3, Find the others. 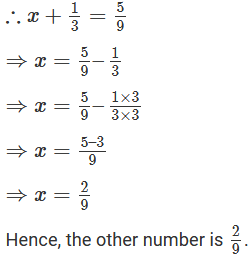 The sum of the two numbers is 5/9. 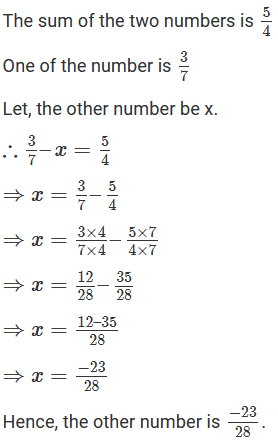 Let, the other number be x. 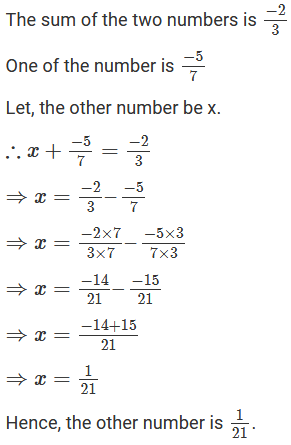 The sum of the two numbers is -1/3. 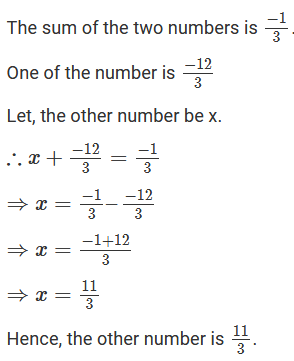 If one of the number is −12/3, Find the others. The sum of the two numbers is −4/3. 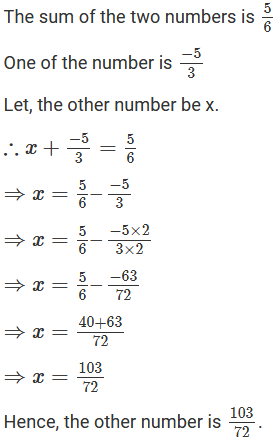 If one of the number is -5, Find the others. 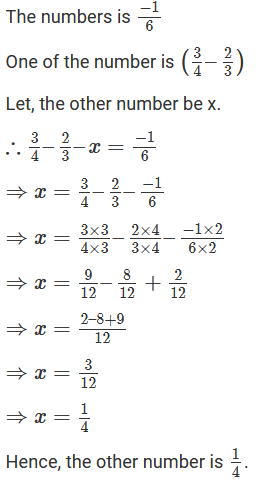 The sum of the two rational numbers is -8. 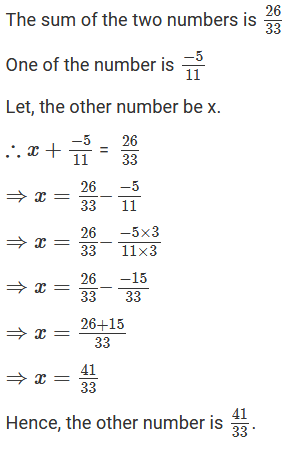 If one of the number is −15/7, Find the others. 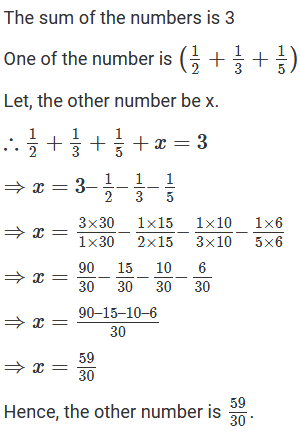 The sum of the two numbers is – 8. What should be added to −7/8 so as to get 5/9? 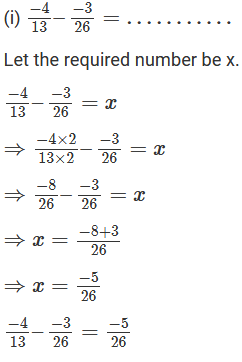 What number should be added to −5/11 so as to get 26/33? What number should be added to −5/7 to get −2/3? 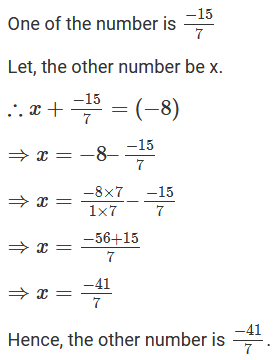 What number should be subtracted from −5/3 to get 5/6? 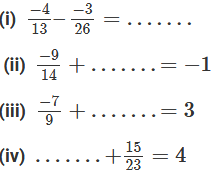 What number must be subtracted from 3/7 to get 5/4? What should be added to (1/2 + 1/3 + 1/5) to get 3? 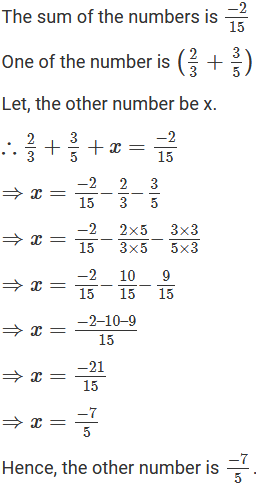 What should be subtracted from (3/4 -2/3) to get −1/6?